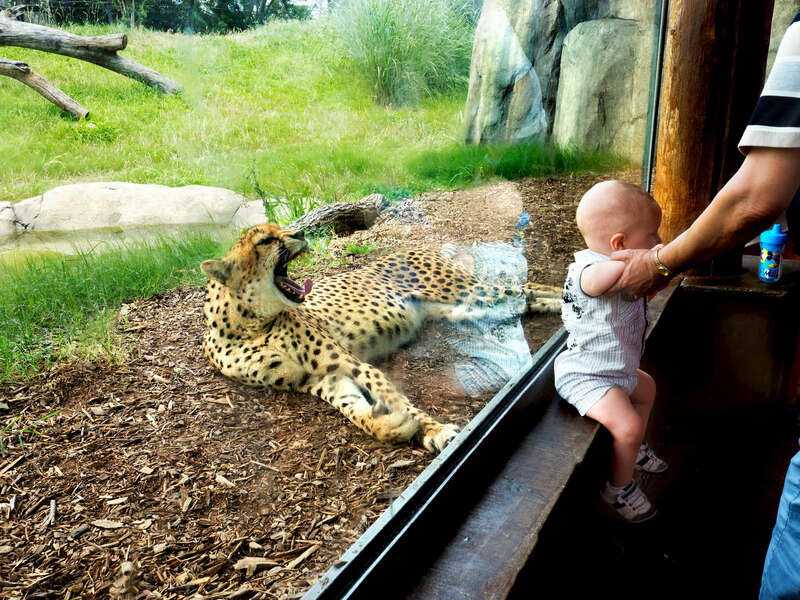 A cheetah yawns at a baby visiting Dallas Zoo. Dallas Zoo is a 106-acre zoo located 3 miles south of downtown Dallas, in Marsalis Park. Established in 1888, it is the oldest and largest zoological park in Texas and is managed by the non-profit Dallas Zoological Society.